OTTAWA - John Baird has blinked in his months-long standoff with Canada's languages cop. The foreign affairs minister has apparently disposed of all his English-only business cards, almost six months after being ordered to do so by Graham Fraser, federal commissioner of official languages. A spokesman for Fraser says Baird's office confirmed in a letter last week that each of the minister's communications materials — including his business cards — now include both French and English. Baird had ordered the English-only cards in May 2011, shortly after being appointed foreign affairs minister. The stationery broke long-standing government rules requiring ministers' official communications to reflect Canada's dual linguistic heritage. Fraser received four complaints about the unilingual cards soon after The Canadian Press reported on the rule-breaking in September 2011, and he issued an interim report in April last year, chiding Baird. But the Foreign Affairs Department quickly rebuffed Fraser, claiming no rules were broken and saying the commissioner was wrong even to investigate the matter. That prompted a much tougher demand from Fraser last August, requiring that the department "immediately commit to completely disposing" of all of the unilingual business cards. Baird had argued that because he had a second set of bilingual cards always available, the English-only cards were acceptable — and position Fraser roundly rebuked. "Providing bilingual business cards on some occasions and cards in English only at other times does not foster the promotion of linguistic duality in Canada and abroad,'' Fraser wrote. Last week, the department confirmed in writing that the English-only cards have been disposed of, Fraser's office says. "The commissioner's office is satisfied with (the department's) response to our recommendations," Fraser's spokesman, Nelson Kalil, said of the Foreign Affairs letter received Jan. 22. The letter arrived after months of silence from Baird. Fraser finally wrote to the department on Dec. 18, requiring a response within 30 days. 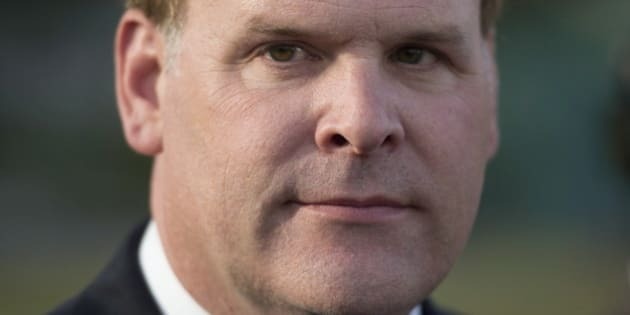 A spokesman for Baird declined to confirm the letter or offer further comment, other than to reiterate the department's initial rebuttal to Fraser. "As I've said to you on numerous occasions, the minister has always had bilingual business cards," Rick Roth said in an email. Baird's English-only business cards were also embossed with gold-coloured ink, another violation of government rules. The set of unilingual cards, with a gold-coloured Canadian coat of arms, cost taxpayers $424.88. The bilingual ones — English on one side, French on the other — cost $197.75. Baird's cabinet colleague, Treasury Board President Tony Clement, recently paid back taxpayers about $630 after his office wrongly ordered gold-embossed business cards shortly after being appointed to the post in 2011. Clement's bilingual cards featured the Arms of Canada decorated with gold leaf, a costly stationery option that has been banned across government since 1994.